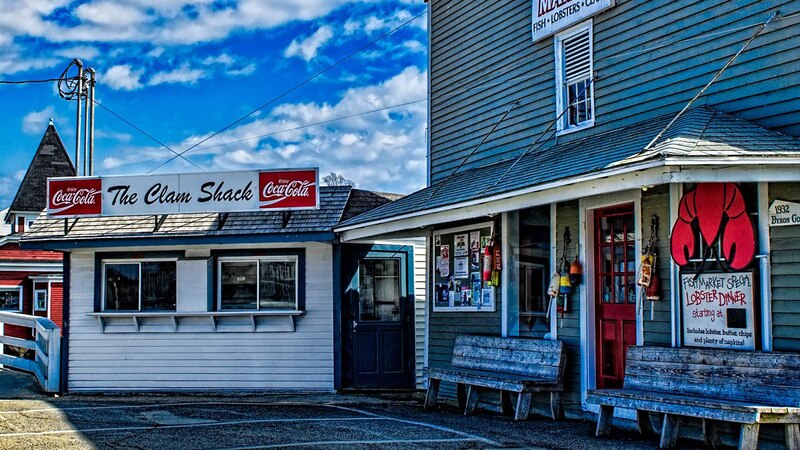 A detour to Kennebunk/Kennebunkport to try one of the most coveted and talked about lobster rolls in New England – at the Clam Shack. 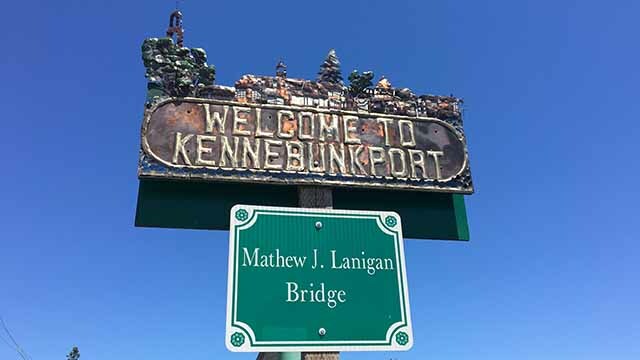 While we were there, Coastal Living Magazine was filming a live Facebook video of the travel editors favorite spots in Maine. 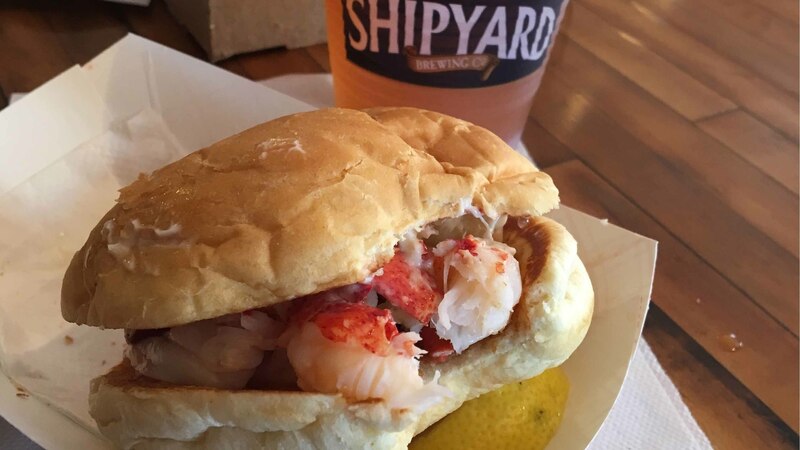 I have to say that this was the best lobster roll I’ve ever tasted – served on a signature round local bakery roll with a dab of mayo and a drizzle of butter and a heaping mound of just-shucked Maine lobster – amazing! 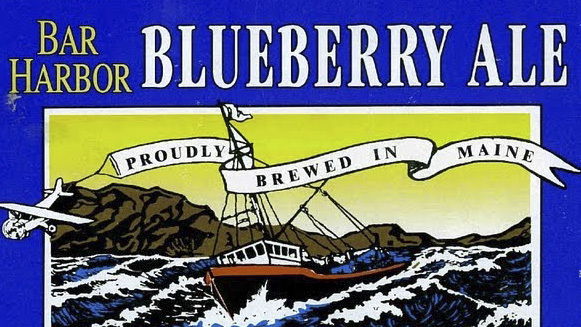 As promised, BEER! 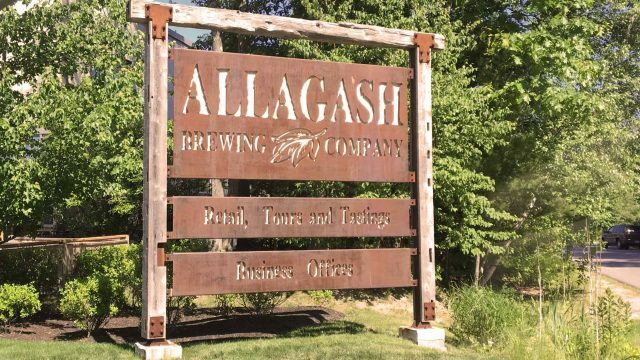 Allagash Brewery offers daily tours, however it always books up so be sure to check their website to reserve a tickets (free!) 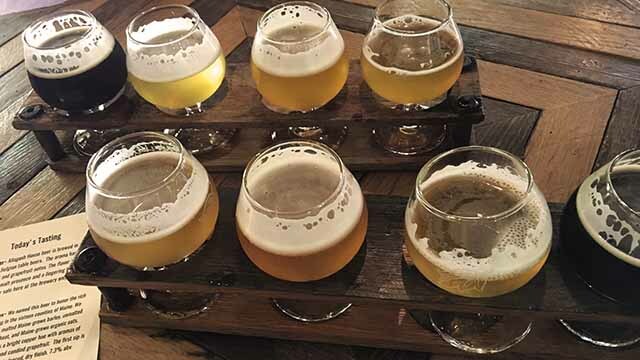 Since we couldn’t do the tour we sat in the spectacular indoor bar area and each had a flight of 4 tasty beers – complimentary – how can you go wrong with that! 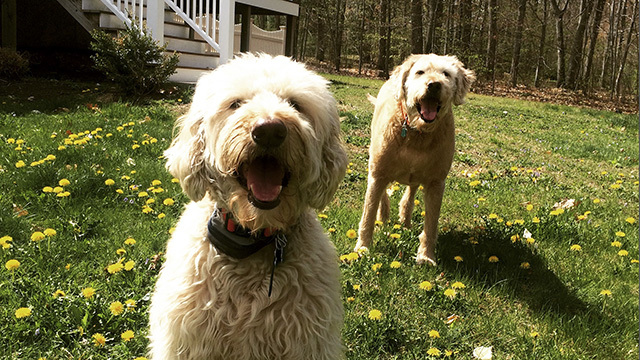 They have a neat outdoor, dog-friendly patio paired with outdoor seating and a corn hole set, this is the perfect day drinking place! 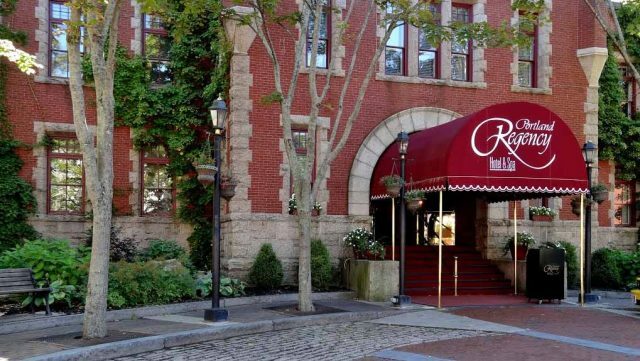 Check-in at our favorite hotel, the Portland Regency, conveniently located by the cobblestone streets of the Old Port historic district, within a few minutes walk of restaurants and shops. Our spacious room had a lovely patio deck right outside our slider – perfect place to sample one of the yummy Allagash beers we bought to go! 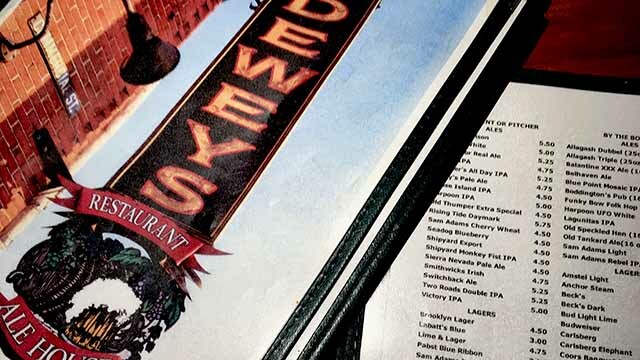 Decided to go to one of our favorite drinking & people watching spots – 3 Dollar Dewey’s – because of their extensive, yes you guessed it, beer menu! After a pint of our favorite local craft beer and a couple of bowls of their free popcorn, we headed out to browse the local shops on Commercial Street, named one of the top 10 streets in the U.S.
After walking around for an hour or so, we worked up an appetite and decided to stop at the Dry Dock Tavern & Restaurant. 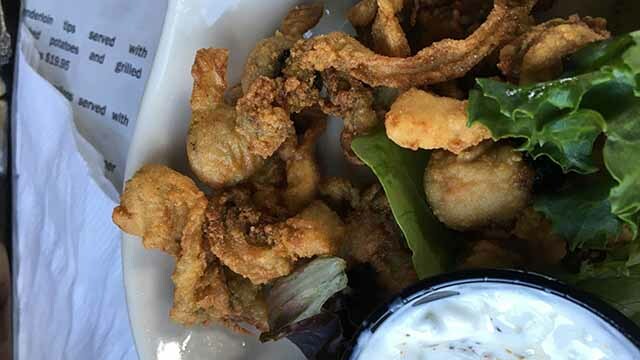 One of the daily specials was a fried clam appetizer which were probably some of the best clams we’ve ever had – lightly battered and served with a delicious tartar sauce. Our original plan was to have dinner at the much talked about Duck Fat restaurant, however the wait was over an hour and we were kinda hungry at this point. Over to Eventide Oyster Co., highly recommended by many of our friends, which was across the street – out of luck there too – an almost 2 hour wait – no thanks! We went next door to their “sister” restaurant, The Honey Paw which specializes in home-made noodles and an Asian influenced American menu. 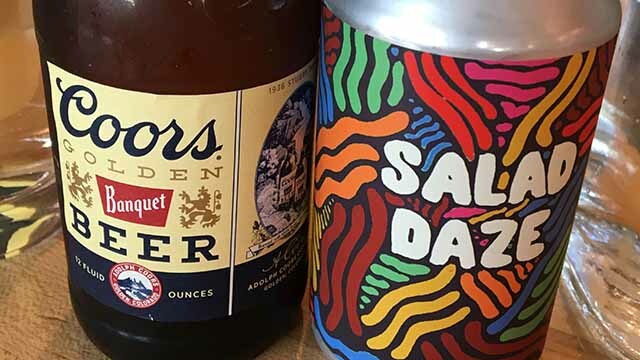 Forgot to take a picture of our meal, which was delicious – but I did manage to take a pic of our fun beer choices! We decided to head back to the hotel and popped into their Armory Lounge, located in the lower lobby. Because there were a couple of wedding parties staying at the hotel, the lounge was quite lively. 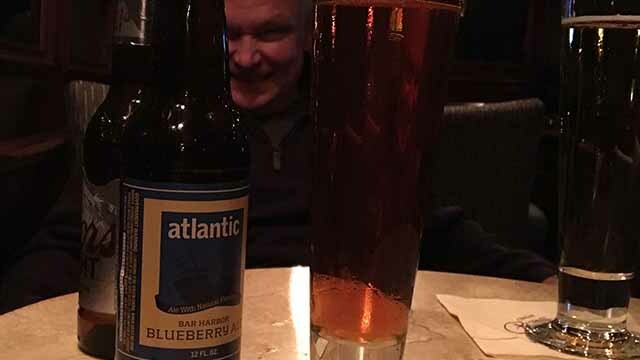 I splurged and ordered an amazing pineapple upside-down cake along with – you guessed it – a Bar Harbor blueberry ale, yum! With all the imbibing and nibbling we had done, it was time to call it a night! 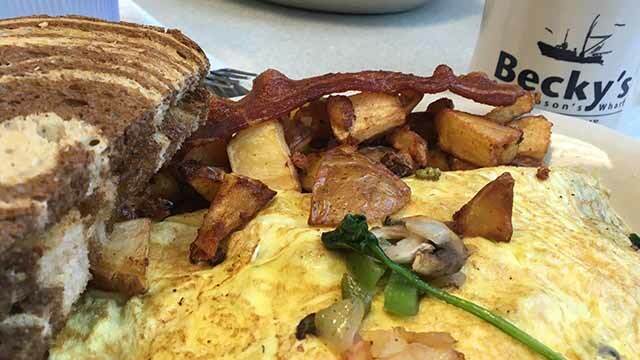 What better way to start the day, then a diner-style breakfast. 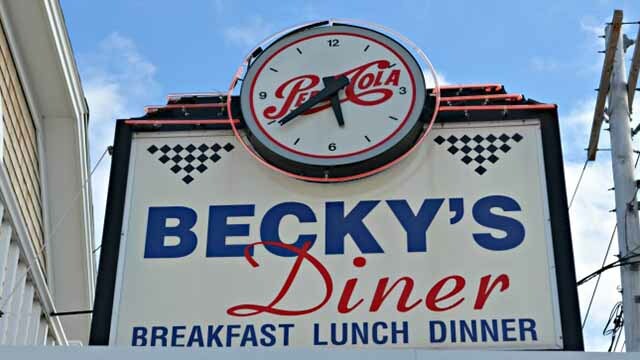 We had discovered Becky’s Diner on a previous visit to Portland, and my husband insisted we return. 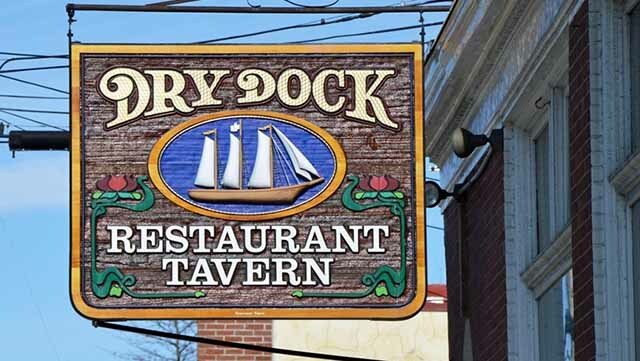 Located on Portland’s waterfront, the family run business is open 362 1/2 Days a Year from 4am — 9pm! The wait for a table was about 40 minutes but it was well worth it – we fueled up for the day ahead. Everyone has been raving about the Holy Donut, so we had to stop and grab some to bring home to the fam. So glad we decided to go – surprisingly there wasn’t a line out the door as there usually is (a 5k race literally started as we pulled up to the door, so many roads around were detoured!) Made with Maine potatoes, these donuts are both healthy and unique – I highly recommend the Pomegranate and the Chocolate Sea Salt (the Maple Bacon is pretty darn good too!) 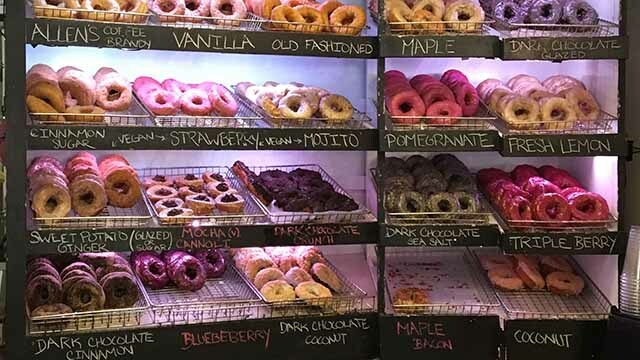 With two locations in Portland, there are plenty of donuts to go around! 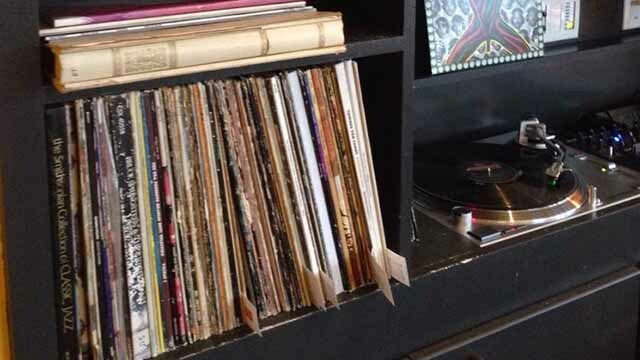 Portland is such an accessible and beautiful drive from Boston – along the eastern seaboard there are many great places to stop along the way but so much to do in Portland, you could easily spend a week here. Whether it be one day or a few, it’s the perfect summer escape!